Having being writing about beauty now for over four years I have in that time been introduced to so many new brands; one of those brands is Topshop. Now of course I was aware of Topshop in terms of their clothes long before I started A Little Boat Sailing, however it wasn’t until I stumbled into the blogging world that I discovered Topshop Beauty. Since then I have tried a number of their products, whereby everything thus far has left me pretty impressed. To this day I am still a huge fan of their nail polishes due to the fact that the formula is fantastic, they also have an extremely wide range of shades on offer which all are pretty affordable. Not to mention they have some of the prettiest glitter nail polishes I have ever seen. A few weeks ago now I was kindly sent a couple of their new products to try out in order to see what I thought of them, therefore I am here today to share with you what I have thought about them so far. It goes without saying that I was quite excited to see a nail polish included due to already being a huge fan. 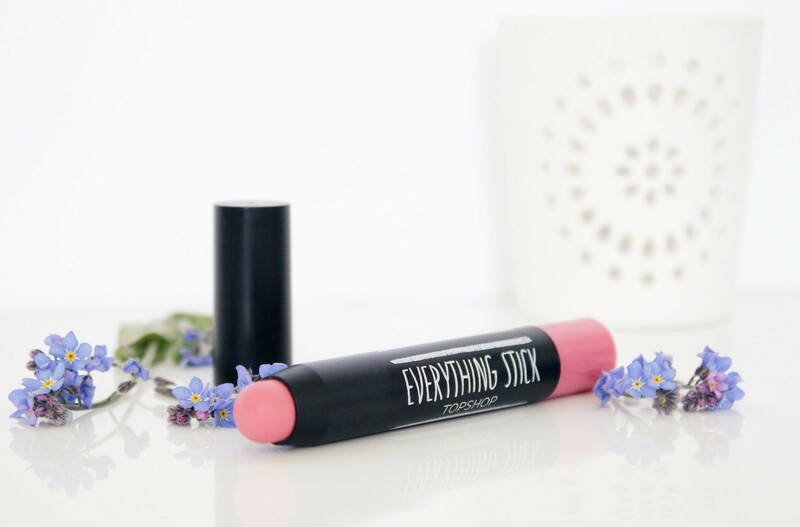 The Topshop Everything Stick* in the shade Naive is an all in one product which can be used on both the cheeks and lips, it even can be used on the eyes, although I must admit I have avoided that option. This is an extremely easy product to use for both application to the cheeks and lips due to the creamy formula, this makes it very easy to blend out when using it as a blush and allows it to be comfortable to apply when used as a lip product. Naive has fantastic pigmentation and is generally a brighter shade of pink than I would typically go for, however I do think that throughout summer that this will work really well. Having experienced using this as both a blusher and a lipstick I must admit that I prefer to use it as a blush, I simply think it works better that way as despite the texture of this being creamy I do find that it can dry my lips out quite a bit. Please do bear in mind that I suffer from dry lips quite a lot of the time and have to ensure that I use copious amounts of lip balm. If you get on well with the Topshop lipsticks in general, then you would have no problems with this. The one criticism I would have however is that due to the shape of the actual product inside (it is quite blunt) you will struggle to get a nice precise application for your lips so you may wish to use a lip brush or simply pat it on with your fingers to add a little wash of colour. My favourite new release from Topshop Beauty comes in the shape of a nail polish. This is not just any old nail polish; in fact it is just one polish from a limited edition collection of shades which have launched to go alongside the Topshop denim line. 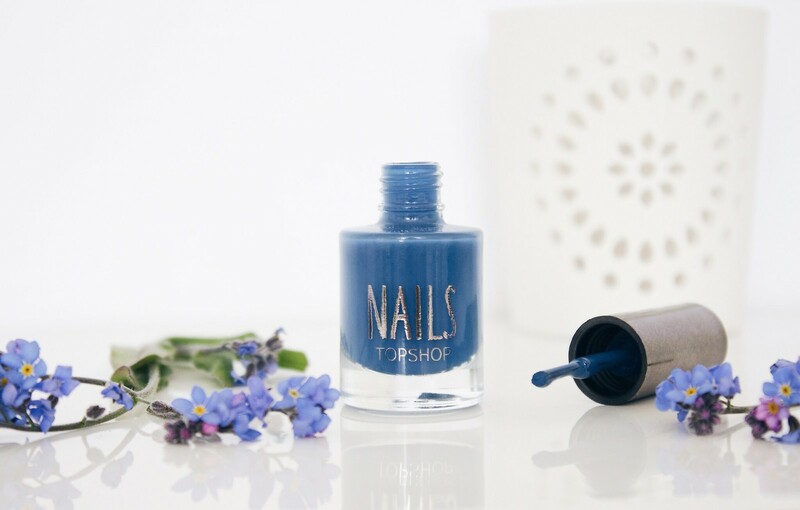 The Topshop Nail Polish* in the shade Hayden is a periwinkle blue to match up with the Hayden Boyfriend Jeans. 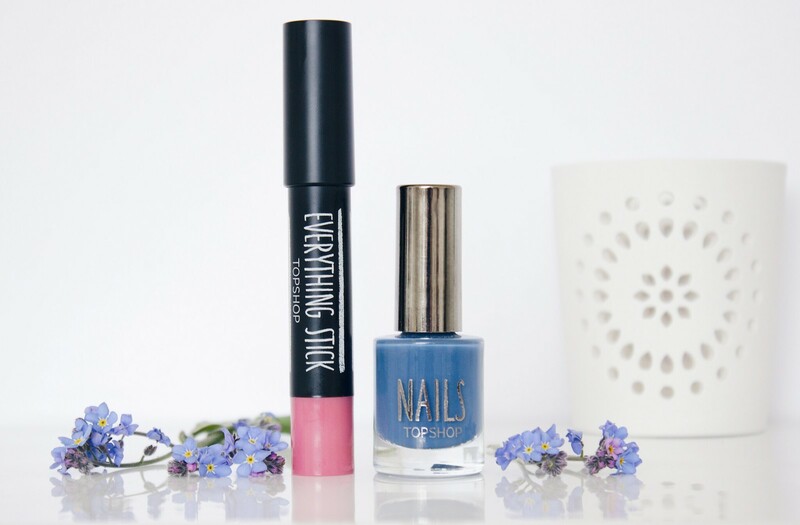 There are six shades in total from the nail polish denim collection, in which well-known names such as the Jamie and Leigh jeans all have a corresponding nail polish to go alongside then, which all I must say look beautiful. The latest releases from Topshop Beauty have been a welcome addition to what I think is already a fantastic and affordable make up range on the high street.